A beautifully written and uplifting YA contemporary about love and loss. Seventeen-year-old Tess Fowler has just dropped out of high school. She can barely function after learning of Jonah’s death. Jonah, the boy she’d traded banter with over texts and heartfelt emails. Tess continues to write to Jonah, as a way of processing her grief and confusion. But for now she finds solace in perhaps the unlikeliest of ways: by helping her father with his new alternative funeral business, where his biggest client is… a prized racehorse? As Tess’s involvement in her father’s business grows, both find comfort in the clients they serve and in each other. But love, loss and life are so much more complicated than Tess ever thought. Especially after she receives a message that turns her life upside down. When I first picked up Things I’m Seeing Without You, I was really unsure about how much I’d enjoy it. I’d read the summary and thought it sounded brilliant, but I had also felt the same way about other YA contemporary books that sounded similarly great but had deceived me. It didn’t take long for me to realise that this wasn’t going to be one of those books. It exceeded all expectations and I bloomin’ loved it. The characters seemed to leap right off the page and land feet-first in my imagination. Each is witty and sarcastic in spite of the tragic suicide at the centre of the story, and even though the novel is reasonably short at 336 pages I felt like I knew them by the time the story drew to a close. I found the quirkiness of Tess’s dad particularly refreshing, and the way his profession in the funeral business helped Tess deal with Jonah’s death whilst learning more about herself. I didn’t expect a book about grief to take me on quite so many adventures, either, so that was a nice surprise. 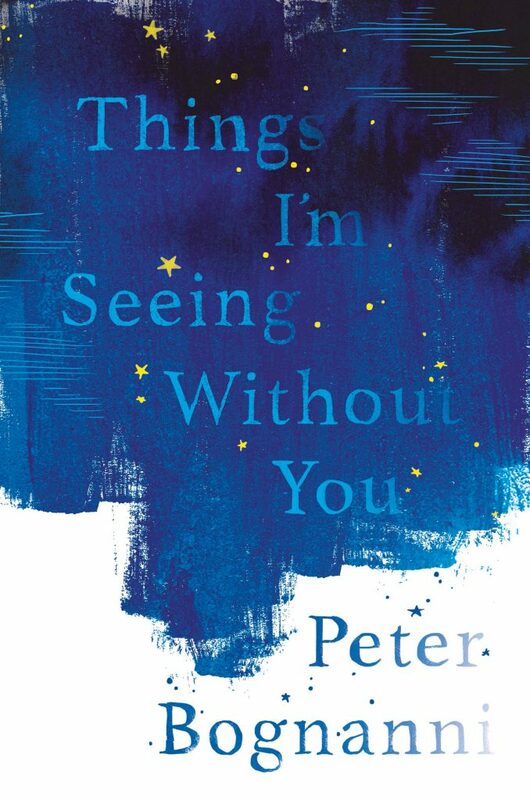 Things I’m Seeing Without You is wonderfully written, unexpectedly uplifting and will stay with me for a long time. I’d absolutely recommend reading it, and I’ll be getting stuck in to Peter Bognanni’s The House of Tomorrow as soon as I can get my hands on it.